There is something about Jester Jackpots that is just very endearing. A real effort has clearly gone into making this site and its gaming options the best it possibly can be, but there is also an underlying sense of fun that permeates through the entire of the site, which has always proved popular when done right. 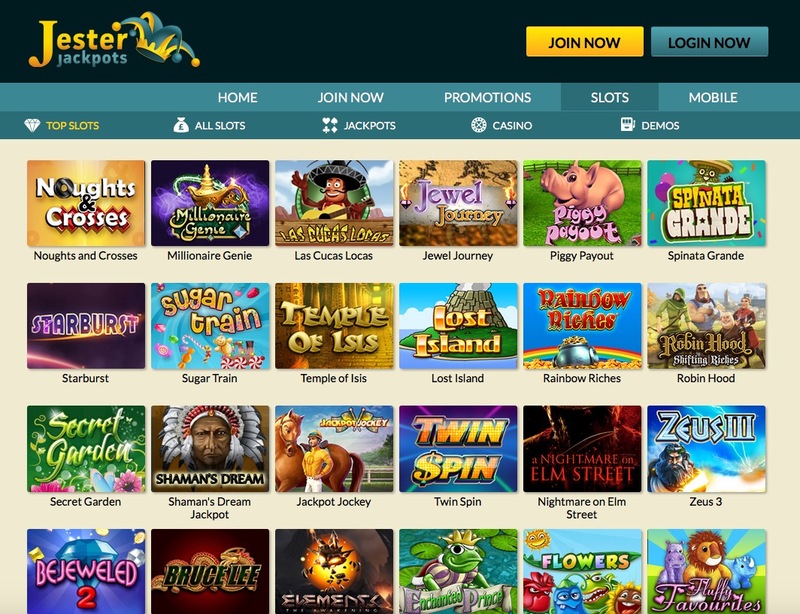 Doing things right is something of a theme at Jester Jackpots, no download is required to play games, the 24/7 customer service has a reputation for being excellent, everything is just done well. But consistency is not enough unless something stands out, does Jester Jackpots manage this? 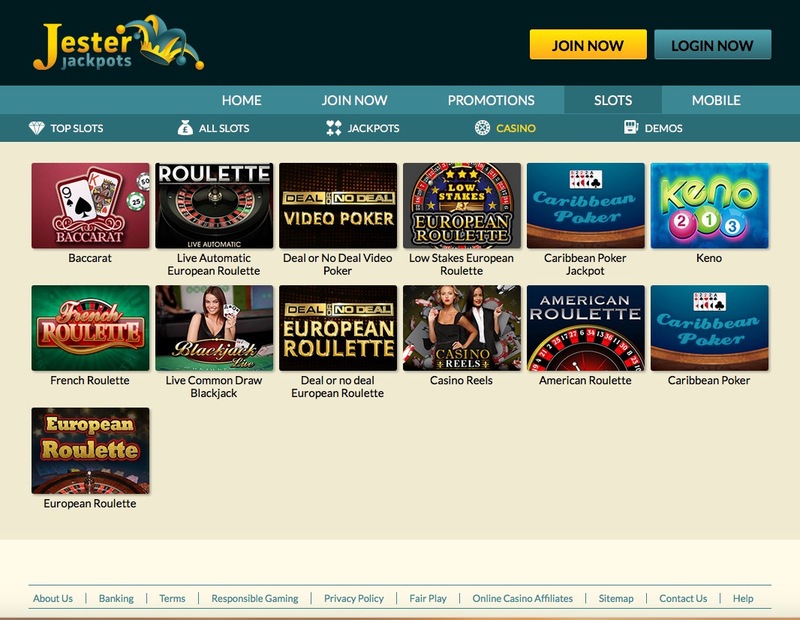 The best thing about the design of Jester Jackpots, is that it is guaranteed to surprise you. It’s not like the Jester theme is new, if you put the words in the wrong order when searching for it you’re guaranteed to find at least one other site, but it is done so well here. There is no horrific colour scheme waiting to destroy your eyes, instead the jester is in silhouette and the colours are dark and subtle, this makes the site look not only unique, but also visually stunning. Looking good is one thing, but what about the games? No need to worry, with games from software providers including Eyecon, Microgaming, Bally, NetEnt, OpenBet, and PariPlay, there is a lot of choice here. Slots fan? Then you’re going to love Jester Jackpots! If you like your progressives, you’ll find Millionaire Genie amongst a choice of others, sucker for an old favourite? You’ll find Starburst, Spinata Grande, Twin Spin, and more. You’ll find lesser known and new slots too. As for the table and card players, your options are substantially more limited and that is a shame, but one hopes this will change, but for now, there’s at least a token effort for you here.